Tel : +27 (0) 41 506 6400. 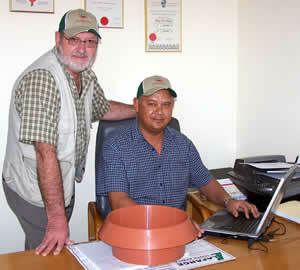 Dammetjies Horticultural Services cc was founded in Port Elizabeth, South Africa, by dammetjies inventor Geoff Bird and businessman and accountant Trevor Harper. In May 2006, London-based Matt Ramsden became a partner in the firm - opening a UK office with the aim of developing the European market. Being owned 50% by a previously disadvantaged individual (PDI), the company complies fully with South Africa’s Black Economic Empowerment (BEE) requirements. Bird is a former journalist who worked on newspapers in South Africa, Zimbabwe and Britain before entering the business world in the fields of public relations, advertising and tourism. Harper grew up as a herd boy in the Transkei region of South Africa, being one of six children. Through persistence and years of study he qualified as one of the region’s first black chartered accountants. He rose to become a senior partner in a national accounting practice before he resigned in 2004 to pursue his own business interests in financial consulting and business management. Ramsden is also a journalist by trade who has worked as a reporter, columnist and editor in South Africa and the United Kingdom. 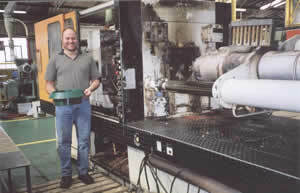 Dammetjies inventor Geoff Bird (standing) and business partner Trevor Harper with one of the first Dammetjies to be made by Johannesburg plastics manufacturer Uwe Menne, of PM Manufacturing. 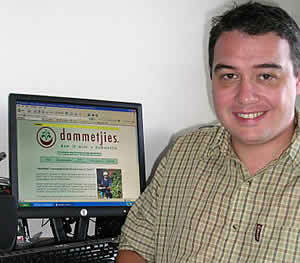 Dammetjies partner Matt Ramsden who joined the company in May 2006. He is responsible for UK and European marketing. Uwe Menne, of PM Manufacturing.